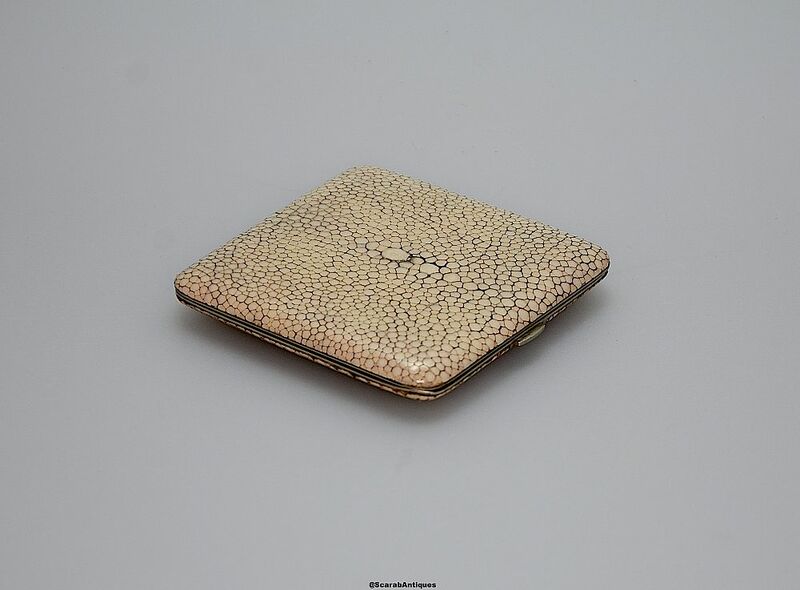 This lovely square cigarette case is probably French and was made dung the Art Deco period of gilt metal covered in cream coloured polished shagreen (stingray skin). 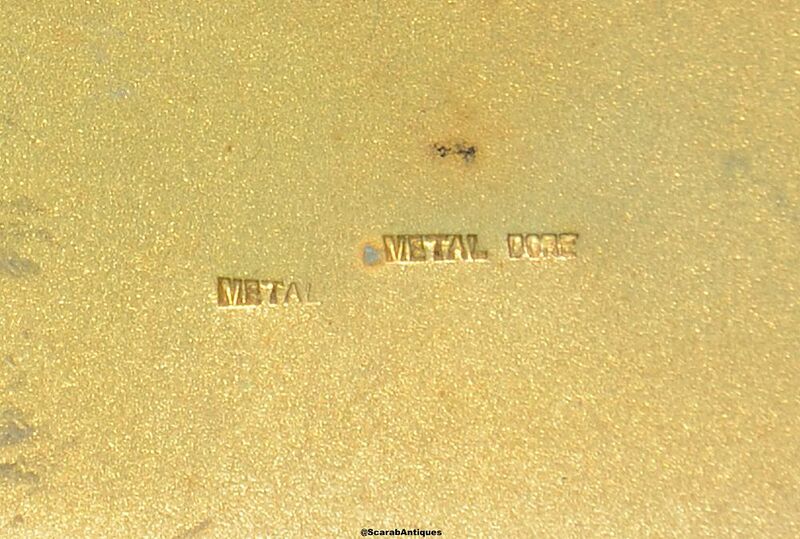 The interior is gilded and stamped "Metal Metal Dore". It is missing the elasticated strip that held the cigarettes in place. 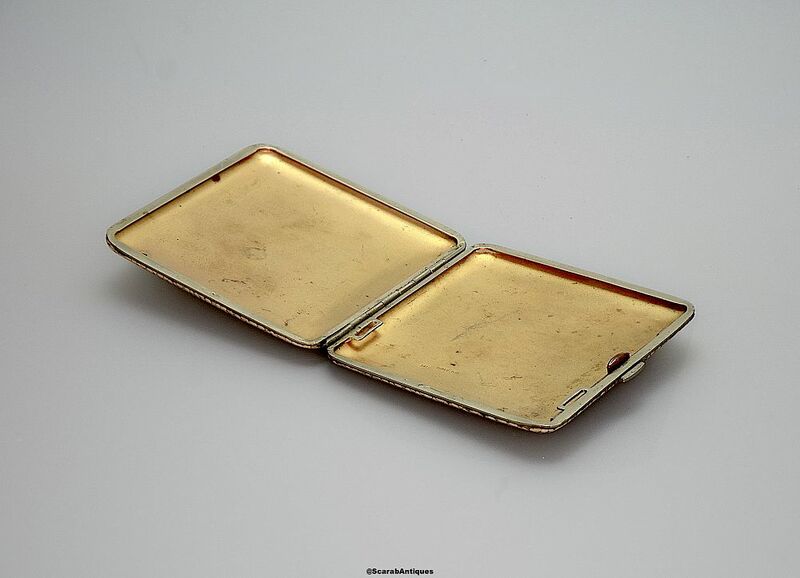 A good and certainly elegant card case?